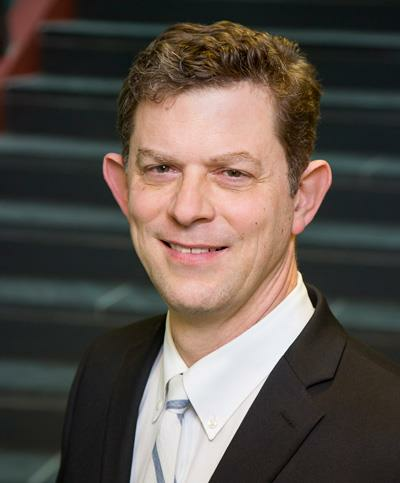 A research project co-led by Professor Richard Sowers from ISE and Mathematics and Professor Dan Work from Civil and Environmental Engineering and the Coordinated Science Laboratory has been awarded a seed grant from the Siebel Energy Institute. The project, titled “Quantifying the Predictability of City-scale Urban Traffic,” could help cities better analyze traffic data and solve traffic-related problems. The effort builds on some prior results of Work, who had previously analyzed New York City traffic data from the aftermath of Hurricane Sandy. He requested a comprehensive data set of taxi behavior in New York, and realized that the answers to a number of interesting questions were now within reach. The data, which spans four years, shows traffic speeds along with the pick-up and drop-off locations of taxi trips. Sowers, who studies big data, became interested because of the immediate impact of these problems. “We started to try and understand what the big picture is,” Sowers says of his collaboration with Work. Through collaboration with students in the Program for Interdisciplinary and Industrial Internships at Illinois and the Illinois Geometry Laboratory in the Department of Mathematics, they’ve developed data visualizations that give meaningful insight into traffic patterns. “We convert the taxi data into traffic conditions similar to what you can find on Google Maps, and from there, we can answer all kinds of interesting questions about the city,” Work says. Some of the questions they've considered include: How does a bike lane influence traffic speeds on neighboring roads? What happens when the city-wide speed limit is changed? How would this impact accidents and traffic fatalities? These are policy questions faced by transportation departments in many cities, but they’re difficult to answer, usually because of the algorithms, computing and visualization resources needed to process the data into relevant information. For Work and Sowers, turning the data into relevant visualizations has always been a challenge, partly due to the fact that a map can only display what’s happening at a specific moment in time. 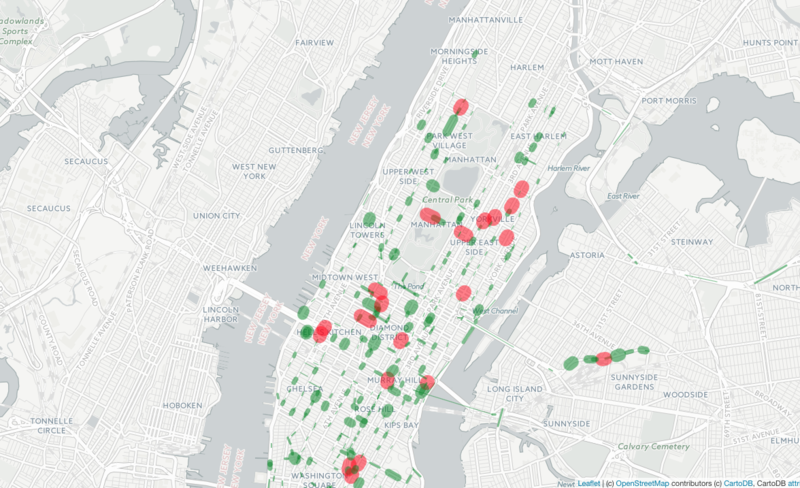 A visualization showing traffic patterns on New Year's Eve in Manhattan. “Another challenge that we’ve been facing is how to take this huge amount of data and boil it down to something that’s small enough to wrap your mind around,” Sowers says. They’ve started to use algorithms that can produce lower-dimensional representations of the data. Work says these representations allow them to determine what’s relevant in the data, which can provide insight for cities. Recently, Work and Sowers have met with transportation departments in several cities, including New York City, Los Angeles, and Chicago, to learn the common themes in these cities’ concerns about traffic. But finding these similarities and differences is just one part of their goal. “Part of our goal is to start to develop the techniques and the tools that can help these cities create data driven answers to their questions,” Work says. So far, they’ve seen not only how traffic often behaves similarly, but often, how it behaves in irregular and unexplained ways. “If we just start out with a blank slate and look at what the data is telling us — you get things that you wouldn’t necessarily expect,” Sowers says. Through this research, they hope to be able to answer the longer-term question: why?